ANKARA: Turkish Defence Minister Hulusi Akar was reported on Monday as saying air and ground attacks on Syria’s Idlib must stop and a ceasefire must be established in the area. Turkish President Tayyip Erdogan last week failed to secure a pledge for a ceasefire in Idlib from Russia and Iran, Syrian President Bashar al-Assad’s main backers, at a trilateral summit in Tehran. 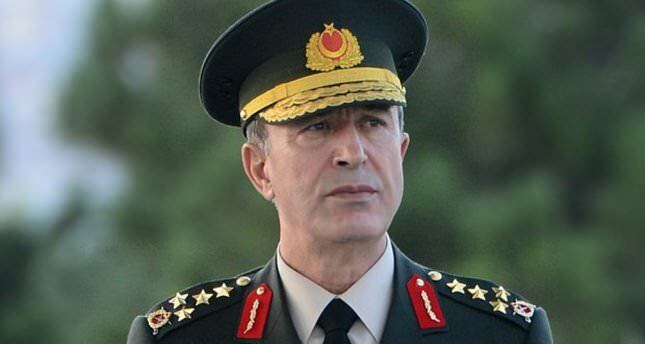 “Our most important effort is toward stopping all air and ground attacks on Idlib immediately and establishing a ceasefire and stability in the region,” Akar was quoted as saying by the broadcaster NTV. Idlib is the insurgents’ only remaining major stronghold and a government offensive could be the war’s last decisive battle. Erdogan and his Russian counterparts Vladimir Putin and Hassan Rouhani agreed in a statement after the summit that there could be no military solution to the conflict and it could only end through a negotiated political process. Erdogan had called for a truce in an attempt to avoid a full-scale Syrian government assault on Idlib. But Putin said this would be pointless as it would not involve the Islamist militant groups that Russia deems terrorists, and Rouhani said Syria must regain control over all its territory. Both Turkey and the United Nations have warned of a massacre and humanitarian catastrophe involving tens of thousands of civilians in the event of a full-scale offensive. Turkey, which currently hosts some 3.5 million refugees, has also said that it could not accommodate any more migrants if an attack on Idlib caused a new surge of refugees toward its border.